Bells In The Birches are a Manchester-based folk group about to release their second EP Ordinary Boy. The beauty in their music is in its simplicity, the way acoustic guitars and strings pluck at your heartstrings whilst vocalist Helen tells tales of love and adventure. The way Ordinary Boy was recorded is a clue to why it feels such a natural EP. Amelia's Song and Close The Door were recorded in one take and the other four tracks had the band recorded live with strings and vocals added later in the process. The EP is opened by its title track which tells the story of a broken-hearted boy "waiting for his beloved" and offering a shoulder for him to cry on. Simple acoustic guitars form the framework for Helen's voice to tell the story before strings kick in the breakdown for dramatic effect. Bells In The Birches go for the "less is more" approach and it works perfectly as it brings the quality of the songwriting and playing into stark contrast and allows Helen's vocals room to breathe rather than fighting a school of banjos and other instruments that clutter up so much folk music these days. It's a theme repeated across the EP, Easy To Fall has more strings in it which dance around the track and make it home, but like its predecessor, its appeal is in the way it's uncluttered and you can feel the emotion in every note. Amelia's Song is in a similar vein, although its message of love and devotion that's crystal clear in its intent "I will always love you dear, until our heartbeats disappear"
The Train Song is a two and a half blast that's a little out of step with the rest of the EP, but no less impactful. The guitar and strings build up the pace at the start and it takes off again at the end. It stands out from the rest of the EP because it's so different. When I Make My Move starts off as a beautifully plaintive song that clocks in at nearly six minutes, but as it progresses in come male and female backing vocals that you think are about to branch into gospel territory as guitars kick in as well. It's a song that'll get an audience tapping their feet and singing along without ever sounding hackneyed or cliched - which is no mean feat in this genre. The EP concludes with Close The Door which takes a different view on relationships with the punchline "please close the door, I'm not the one you're looking for." Musically it retains that simplicity that makes this EP such a beautiful record, one that draws you into its web and makes you feel every subtlety, every nuance and every emotion that Bells In The Birches put into their songs. It's an unquestionable triumph. Bells In The Birches are on Facebook, Twitter and Soundcloud. 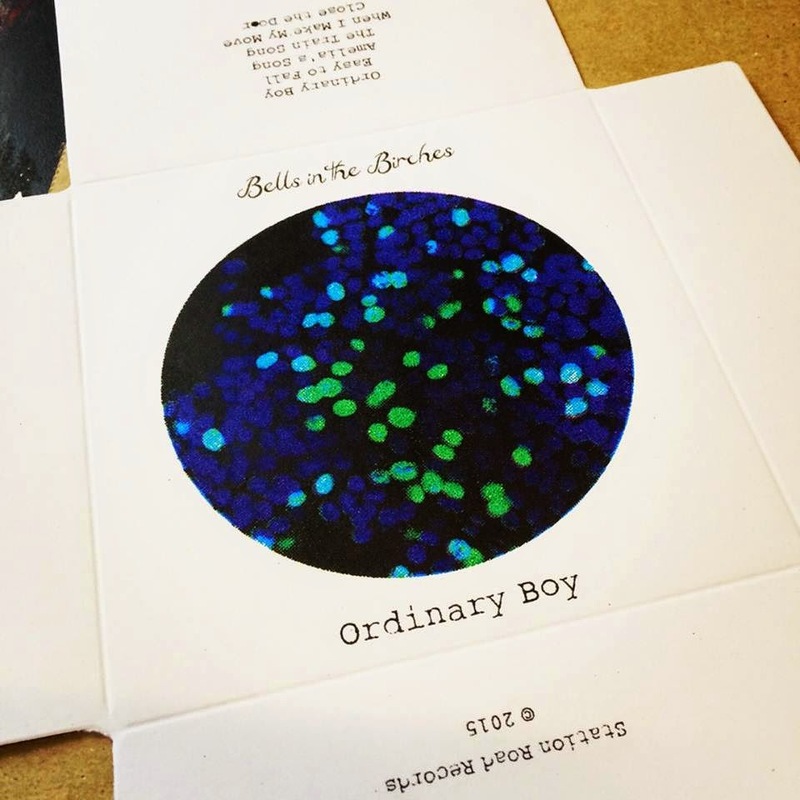 The Ordinary Boy EP is out today and they play a launch gig at the Eagle Inn in Salford tonight.